It’s always a treat to get together with families throughout the village so here are some 2018 dates for your diary now! A barbecue, games, sunshine, mountains and water! What more could you want in the Lakes? This will be mid-day in the centre of the village. Sunday, September 30, at the Methodist Chapel. Joint Harvest service with an Animal Vegetable Competition begins at 11 a.m. and promises fun for all! Sunday, 9 December, Coniston Institute, 6 p.m.
Salt Mine Productions is coming to Coniston. Unmissable! More information will follow on these and other events. This entry was posted in Discipleship, Mission, Special Events, Youth on May 7, 2018 by angelweb. Hot off the press, the full Programme for Moving Mountains is now available. From a Q & A session at NJoy, meeting youth from the John Ruskin School to an Open the Book Launch at the Primary School on Friday. Things get off to a zippy start. Great time to ask all the questions you always wanted answered in a friendly setting. 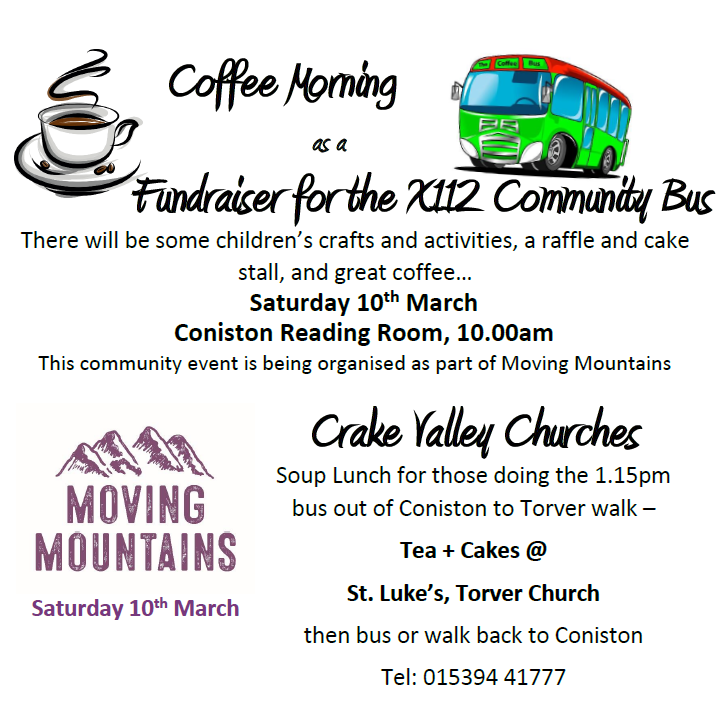 There are dinners, crafts for kids, prayer time, and even an evening at the pub at Penny Bridge in addition to our Fund raiser for the Coniston X112 which includes a way to eat and walk your way to fitness on Saturday. Sunday there will be visiting pioneers at all the churches to talk about the whole experience of Moving Mountains. 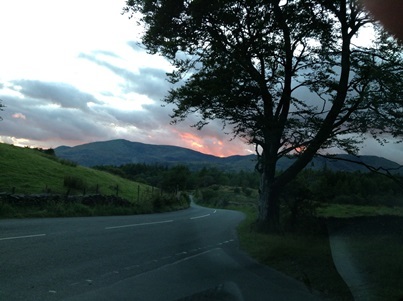 A great week-end to be in Coniston! This entry was posted in Discipleship, Mission, Prayer, Special Events, St. Lukes Torver, Youth on March 6, 2018 by angelweb. 10 a.m. Reading Room, Coniston, children’s crafts, family activities, a raffle, cake stall and great coffee! Arrive at Torver and more cake and coffee to fortify you for the walk back home! Have fun and enjoy doing something for the community at the same time! This entry was posted in Discipleship, Mission, Special Events, St. Lukes Torver, Youth on February 16, 2018 by angelweb. 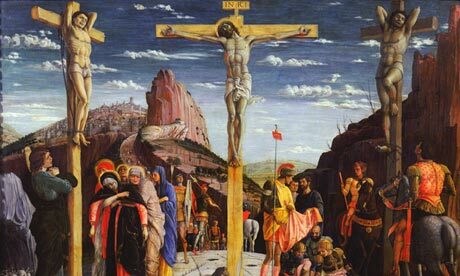 This entry was posted in Discipleship, Education, Mission on January 2, 2018 by angelweb. Our world and our lives change at an ever faster pace. How does the Church respond to this change? Are new ways of being Church possible? What might they look like? MSI helps us to reconnect with the communities we are called to serve, taking us on a creative and reflective journey to re-imagine the forms of Church that are needed for the 21st century. More dates and locations to be confirmed. 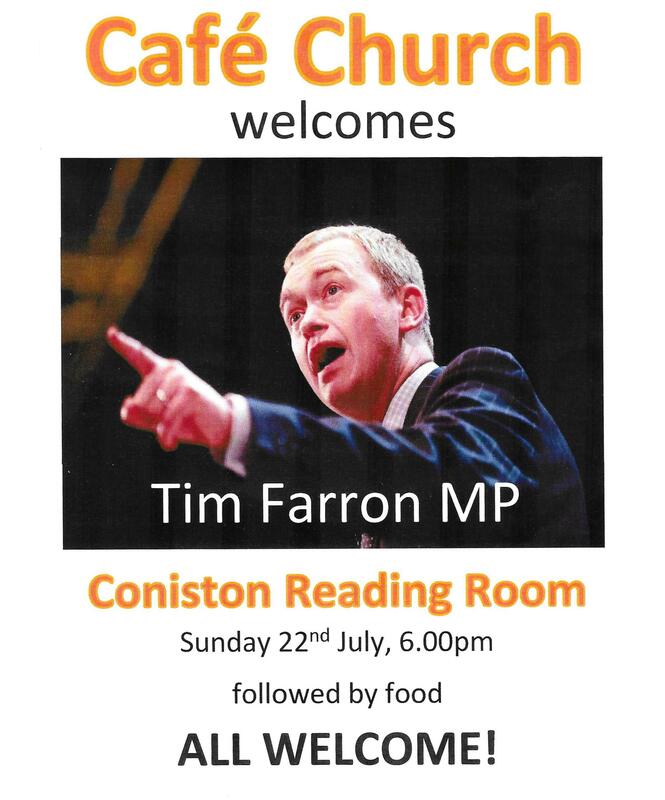 For details in your area contact your local Mission Community leader or e-mail: admin@cumbriachristianlearning.org.uk. This module is taught over seven two-hour evening tutorials and one day school, and is part of our validated training programme for ordinands and readers. It is also open to anyone who is interested in developing their biblical knowledge and is willing to commit to the time involved. Led by Dr Karl Möller. Tuesdays, 7.00pm – 9.00pm (various dates, January – March. Pease ask for details.) and Saturday 3rd February, 9.30am – 4.00pm. All tutorials held at Rydal Hall. Costs: £135.00 for the full module. For further information about the content and any other enquiries, please contact James Bober (01768 807765; admin@cumbriachristianlearning.org.uk). The aim of Tragedy and Congregations is to resource churches to respond in a healthy way to the impact of tragedies, local and global, through training in good practice, careful reflection, and personal resilience. Facing the challenges of domestic abuse from a faith perspective, through preaching, worship, prayer, listening and learning. Calling us to repentance, and enabling restoration and healing. A resource for all, lay or ordained, in our Churches and Mission Communities. Internationally renowned practical theologians Elaine Storkey and Kathy Galloway will be keynote speakers at the event. Workshops include: Responses from theology and scripture: Esther 1:1-2:6; Responses from theology and scripture: Ephesians 5:21-33; Responding prophetically in our preaching ministry; Responding pastorally; Responses informed by sociological perspectives; Responding in and from our faith communities; Responding in worship. This day will cover the basics: What social media platforms should churches have? What content should churches be sharing? How can churches with limited resources create quality content? Should we be looking at analytics and paying to promote posts? The dos and don’ts of writing for the web. The content your website must include – and what you could delete. Delivered by the Church of England’s National Communications team. Free to attend but places are strictly limited! Maximum one participant per Mission Community, please. Featuring: ‘What’s Vocation All About?’; What’s my Line? – interviews with people who serve in many different ways; Worship and Drama; The Vocation Advisory Service – how does it work? ; and time to talk, ask questions, view information. We’ll conclude by exploring possibilities more personally over lunch. Tea, coffee, juice will be available; please bring lunch. Led by Revd Canon Ruth Crossley, Revd Elaine Bates and Maureen Stevens. St Mary’s Parish Centre, Dalton-in-Furness. Free to attend. or you will be very welcome to simply arrive on the day. to feed and enrich your soul. A 2-hour workshop for anyone with any kind of pastoral role, or considering one. Enabling all members of church to explore the development of quality relationships from a Christian perspective. The workshop will be led by Teresa Onions, Pastoral Care UK. to those affected by grief. Led by Revd Dr Sandra Miller (Archbishops’ Council). How can we engage better with those who join us for the pastoral offices? Venue & booking details tbc. What is it? What are we aiming to do? The Tourism Chaplaincy Project is about organising small teams of people to reach out to, and get alongside people involved in the tourist industry. A chaplain is a person who is: “among people, with people, for people, providing a caring listening ear”. A chaplain is a person who gets alongside others, in their daily life, workplace, or in our case, also places of rest and relaxation, listening to the stories people want to share – about their work, their families, their life, maybe their worries, and even sometimes about God. It’s about being present, being available, being where we are invited, not imposing our ideas on others in any way, just showing love and care towards all. The project aims to develop this type of ‘listening presence’ for those who work in the tourist industry. We are looking at how we might reach beyond the walls of our church buildings, to engage in new, exciting but relevant ways with those who work in and visit this beautiful, but challenging, part of the world. 3:00 p.m. and repeated at 7:30 p.m.
At Ambleside Parish Centre where we will share a little more about the project, and listen to how YOU think this project might work, and how we can develop it. If you can’t make it, but would like to know more, then please contact me, Maggie Patchett, deaconmaggiep@gmail.com tel: 015394 42971, or via Ambleside or Windermere Methodist Church. This entry was posted in Discipleship, Mission, Special Events on January 2, 2018 by angelweb.